I know there are people who see dice as unbiased (as long as they're balanced) randomizers. To these people, they're just tools of the trade - simple devices that behave in a mathematically predictable manner. Such an idea as luck or mind over matter having any bearing on the outcome of a die roll is nothing more than an artificial construct that superstitious humans force upon their perceived reality to make sense of what they believe to be statistical anomalies. I'm not one of these people. Mind you: I'm an extremely rational person. While I do believe there's more to "reality" than we'll ever understand, I approach life with what I like to think of as a healthy degree of skepticism. I also firmly believe that it's human nature to ascribe supernatural causes to effects we can't otherwise explain. Although I have my own experiences that cause me to question certain things, I take second-hand tales of "unexplainable" occurrences and the like with a huge grain of salt. That disclaimer aside, I've seen enough people rolling dice in the last five decades to come to believe that it's possible for a person to "warp the curve," as they say. Take my fiancee, for example. She has a true talent for consistently blowing the statistical bell curve toward the high end with any dice she's given. I've long-since disproved that this ability has anything to do with uneven, biased dice - she can do it with any dice she's handed; her dice (which she changes frequently - she's truly embraced the gamer's dice addiction), my dice (which roll like crap for me, generally - more on this, below), our friends' dice, and even the communal dice - including my Zocchi and Game Science dice. Interestingly, there are times when she blows the curve to the left - toward the low end. And this almost always happens when she's sick. Her focus weakens and she her dice rolls show it. When she's healthy, though, watch out. I'm different. When I'm rolling for myself, I almost always roll toward the low end of average. Not enough to say that I warp any curves, but definitely enough so that my play experience is awfully rough. I therefore try to avoid "going to the dice" as much as possible when playing rather than GMing. When I'm rolling as the GM/DM, though, things change. 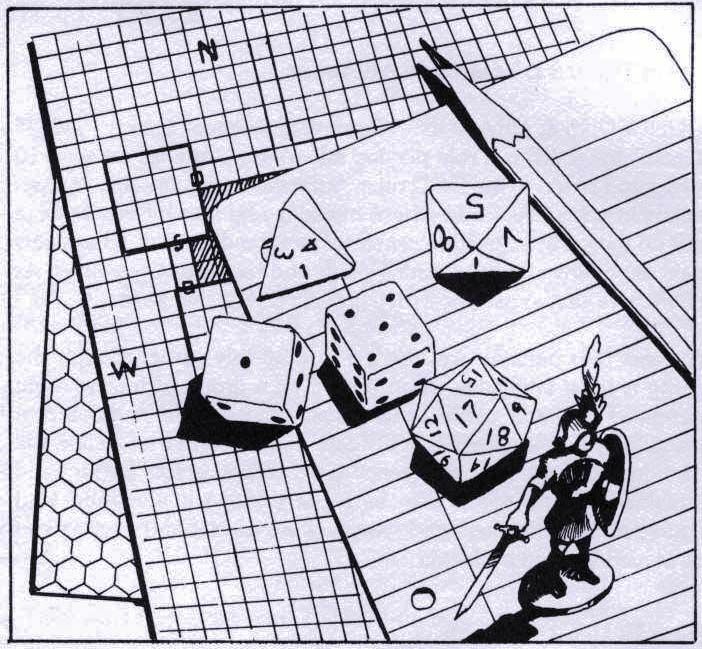 For every crit I roll as a player, I easily roll 10 as a game master. (I make about five times as many rolls as GM, so I'd expect the numbers to reflect a similar ratio.) My players have repeatedly remarked how they want to smash the twenty-siders I use as a GM - the same ones I use when I'm a player. It all seems to come down to focus. When I'm playing, I don't have the focus on the game that I do when I GM. I don't have the sense of control, either. And that mental state - believe it or not - affects the outcome of my dice rolls. You may scoff at this perspective, or you may be sitting there going: "Right on, dude!" Either way, I know what I've witnessed. First, always prep new dice before using them in-game. Never roll them straight out of the package! 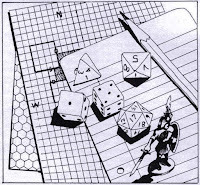 New dice must first be allowed time to mingle in your dice bag with your existing dice for a day or two. Second, never use new dice, even after they've been acclimated to your dice environment, or dice that have proven themselves hostile to you, when playing a character you love. The risk is too great! Keep your readied ("on the bench") dice critical number face-up so they're ready to roll their best numbers. Cup the die in your hands and blow on it before rolling. Be sure that any other players who may jinx your roll (opponents or players with a history of bad dice rolling) aren't looking when you roll. Be sure to get a good, hard drop and bounce when releasing the die. Don't just limply drop it, or send it sliding sideways across the table. 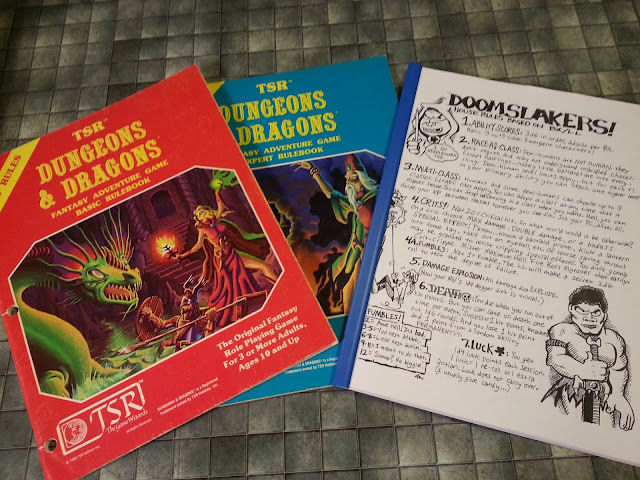 Always roll on a hard surface - avoid rolling on books, character sheets, play mats, etc. Again, aim for exposed tabletop. Keep the die in your "zone." Don't let roll into another player's zone, or - worse - onto another player's character sheet, or - worst of all - into another player's dice. Be sure to keep multiple types of any given die nearby ("the second string") so the dice on the bench know that they could be pulled out of the game if they don't perform as expected. Always put your best-performing dice on the bench first - don't mix up the starting lineup between games. Dice like to be rewarded for being top performers. Send the die to timeout. Put it aside, behind the bench with the second string dice, and put a die from the second string in its place on the bench. But only keep it there for a few rolls. Once you feel it's sat out enough of the game, switch it back to the bench. Send the die to the second string. As above, but keep it out of the game until its replacement lets you down, then give it a second chance. Pull the die from the game. Put it back in the dice bag, possibly after admonishing it for its lousy performance. Send the die for re-education. Set it aside; after the game, perform one or more of the resetting steps (below). Banish the die. Pull the die from the game, but don't put it back in your dice bag. Put it in a backup dice bag, or - better yet - put it in the communal dice pile, if you have one. One caveat: DO NOT throw a bad die, even if it's just at a wall. It could bounce and hurt you or another player. Or, worse yet, one of your other dice! Never, EVER, touch another player's dice, or let another player touch your own. Touching other players' dice is just bad form. Don't engage in this barbaric behavior, and don't suffer fools who do. Seriously, you don't want your star die to become corrupted. It can take days, months - even years - for that sort of bad mojo ("dice cooties" is, I believe, the technical term) to wear off. Wash them in warm, soapy water. Set them on a window sill and let them charge in the sun for seven days. Wrap them in foil and bury them on the night of a new moon; dig them up on the next full moon. The number of steps you take is up to you, but should be appropriate to the situation. For example, if your dice have been compromised by another player whom you know to be egregiously bad at rolling dice, I recommend performing at least the first two steps - if not all three! After they've been reset, the dice will, of course, need to be re-attuned to you. Be sure to follow the previously mentioned steps for preparing new dice for their first use. Follow these simple rules, and you'll be sure to prevent as many outside forces as possible from contaminating your dice rolls. All that will be left to deal with is your own poor luck/karma/mental focus. And I'm sorry, but I can't help you with that. But many people make careers out of that sort of service, so I'm sure you'll be okay. Are you a true dice fetishist? 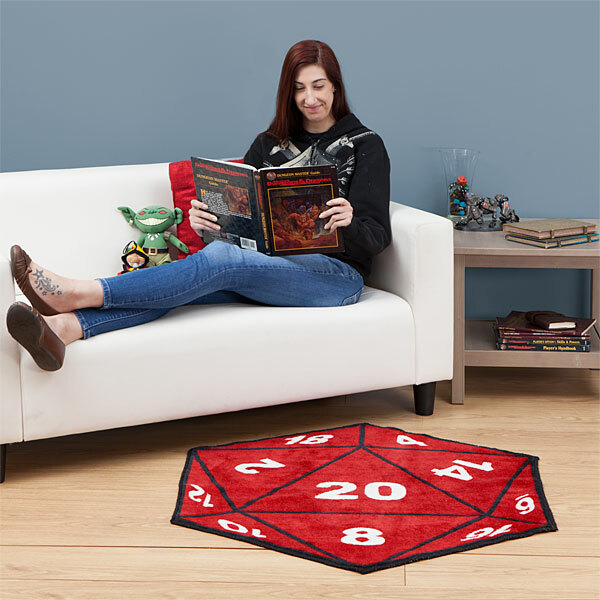 Not if you don't have at least a few of ThinkGeek's dice-lover's products!